Those living in Minneapolis know that the winters are frigid and snowy and the summers are hot and humid, weather conditions that can be tough on properties throughout the city. When a storm impacts property owners, it is common to be confronted by a flooded basement. If it is an unusually cold time of year, then frozen pipes might also be an issue that can lead to a basement flooding emergency. 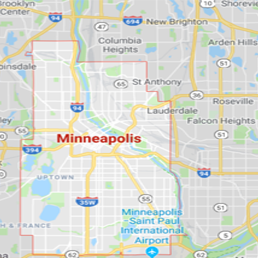 To help property owners with these issues as fast as possible, 911 Restoration of Minneapolis stays available 24/7/365 to provide you with quality water damage repair and emergency water removal services. They even guarantee to arrive within 45 minutes of receiving your call. The basement flood repair team can stop any leaks in your property and show you how to prevent them from occurring in the future. By implementing the latest drying technology, the technicians will also limit your need for mold removal services. To keep your property safe after a pipe burst creates a flooded basement or mold infestation, call the water damage team to get the affordable prices you deserve on all restoration services. 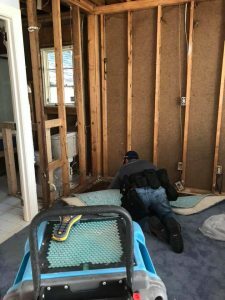 There are few varieties of catastrophe that are more destructive and mentally taxing that the nature of a water damage invasion, and to this end, the specialists are always standing by vigilantly ready to spring into action for any emergency. Water damage can impact your property in many different ways, whether it be from a pipe burst or leaking ceiling. Despite how water invades your home or business, customers can trust the technicians to provide the best water restoration services in the industry. They understand how quickly a clog can turn into a washer burst or plumbing leaks, so they act as fast as you can call them. The flood clean up services will have your property back in order as soon as possible. If your property has filled up with flood water, call the water damage restoration team for top-of-the-line carpet drying and water cleanup services today! Property owners need to take special care during the winter to keep their plumbing system from freezing during a cold spike. Frozen pipes can burst when the water inside freezes and expands. Once a pipe burst occurs gallons upon gallons of water can explode out of them, causing a flooded basement and other instances of water damage. By insulating your plumbing system and keep a small trickle of water flowing throughout your pipes at all times you will significantly reduce your chances of experiencing frozen pipes. 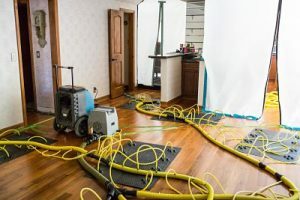 The most important thing to do in a flooding situation is to hire professionals to dry out your basement after a flood. Fast action will limit any structural damages and prevent the need for mold removal services. 911 Restoration of Minneapolis is your trustworthy source for basement water damage cleanup. They are one of the few companies that provide the most thorough basement flooding repair services, so give them a call today. Mold poses dangerous health risks for those who are exposed to the spores, such as causing asthma and allergy symptoms. The mold removal professionals always take care to keep their customers safe when facing mold, which is why you should call them at the first sign of an infestation. The mold removal team always puts the customer first. They want to make sure you feel secure with them on the job, and one of the ways they build that trust is by providing property owners with a free visual inspection. Mold needs excess moisture to grow. Therefore, properties that have mold probably have leaks. The mold removal team will find those weak points in your roof or the water line and fix them so that the fungi infestation does not return. We are IICRC certified to handle all mold removal services, so when your home floods, a fire sprinkler destroys your carpets, or mold takes root in your business, you can count on 911 Restoration. Don’t let mold eat at your walls and take over your property with its musty odor. Contact our mold removal team and let the fungi experts clean up your mold infestation for you efficiently and safely today! When a washer burst starts pumping water into your crawl space, mold spores are bound to grow, which is why the water damage staff is trained in all disaster restoration services, from water extractions to mold removal services. Whether it is a natural disaster or man-made fire, the fire damage restoration unit can help. The technicians have many years of experience in water mitigation, mold removal, and fire damage restoration. The fire damage restoration crew is trained to repair your property after any fire disaster, including cleaning up the water damage left behind by the fire department. If your property has been through a recent disaster, whether it be water, sewage, or fire-based, contact our disaster restoration team and let the Minneapolis specialists take on all of the challenges today! A sewage disaster is another messy and dangerous home emergency that can cause severe water damage to the structure of your home and jeopardize your health. If you experience a toilet overflow, black water will bring harmful disease-carrying bacteria into your property that should only be removed only by the professional sewage cleanup team at 911 Restoration of Minneapolis. Even gray water from your bathtub will harbor bacteria and can pose a health risk. 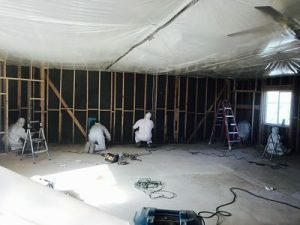 The technicians will extract every last drop of moisture and sewage by using the latest drying technology and safely decontaminate the area. The specialists in Minneapolis will also make sure to leave your property smelling fresh by removing the harsh odors that a sewage spill can create. So, don’t let your home fall victim to a black water crisis. Contact our sewage cleanup team for help with sewer flood cleanup today! Property fires are one of the most destructive disasters that can occur, and many of them start due to a lack of preventative maintenance, such as faulty electrical wiring or leaving a candle unattended in a living room. 911 Restoration of Minneapolis will always respond quickly to remediate issues caused by flames and smoke, as well as repairing any water damage and flooding caused by the fire department. An unexpected side effect of a fire is the flood damage caused by firefighter hoses and fire sprinkler systems. Luckily, we provide comprehensive services that address all aspects of a fire damage restoration job. After the fire department puts out the flames on your property, our highly trained technicians will respond quickly to begin pumping water out, cleaning up ash, and removing smoke stains and odor. Along with providing fire damage restoration services, the repair workers will be happy to offer suggestions to prevent future fire hazards. Above all else, the technicians in Minneapolis are dedicated to professionalism, and they will be there for you until you can rest comfortably again. So give our experts a call after a fire has impacted your property and they will get started with the water and fire damage restoration today!